We had a Maginhawa food crawl last May 2018, and being the foodie in the group, I came up with a list of all the restaurants we will be visiting. 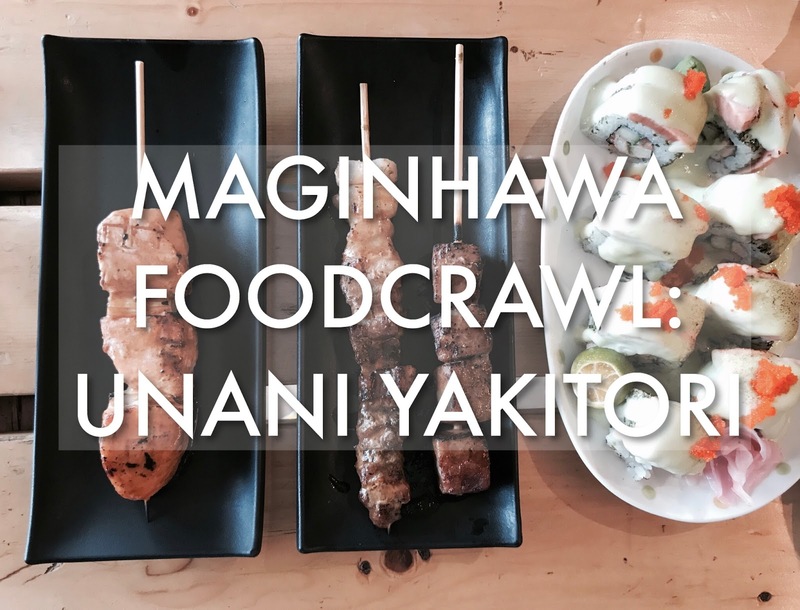 Maginhawa has tons and tons of restaurants lined up in one long street (and neighboring ones), which gave me the luxury of options to include in my itinerary. And because there were a lot of restaurants to choose from, surely we won't be able to try all of them in just a day, so I narrowed it down by initially selecting a few cuisines. 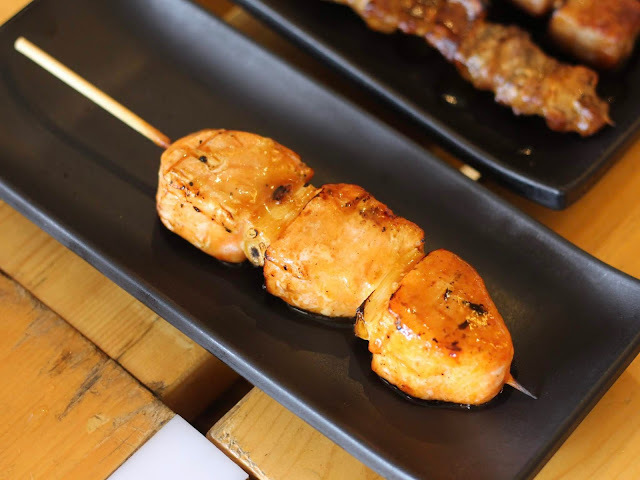 Japanese was one of those cuisines, and the best (based on reviews) out of all those is Unani Yakitori. Unani Yakitori is a small stall along Maginhawa that it can only accommodate less than 20 people (around 3 to 4 tables). An order of the Unani aburi maki had 8 pieces. Each roll had bits of kani and cucumber, topped with thick slices of fatty salmon, and generously drizzled with their wasabi mayo dressing. The thing is, I hate wasabi, so I had to scrape all of it off. Aside from that, the maki as a whole was delicious. The beef wagyu was just like any wagyu beef cubes you might have had before, and I liked it, although it was a bit too toasted and dried. The butabara kushiyaki is something I wouldn't recommend as it was my least favorite out of everything we had. It was too brittle and tough and dry. The salmon yakitori, for a salmon lover like me, was great! It was cooked perfectly, and glazed with a sweet and savory sauce.